Continuing in the series of Pixar’s Masterclass, this time we’re looking at a movie that dares to explore existential crises, a movie that’s aimed at the whole family, and as always, all of this via an animated medium !! Bought by Disney in 2006, Pixar hadn’t produced anything truly inspired that wasn’t a sequel since Up in 2009. Given the humdrum quality of Cars 2 and Monsters University and 2012’s well-intentioned but forgettable Brave, it seemed as if the studio had lost its penchant for exotic risk. 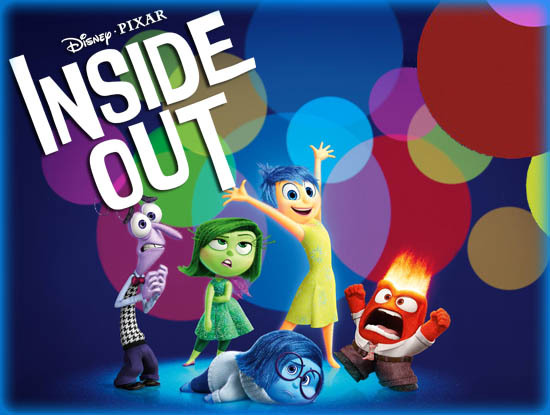 But Inside Out is in the top rank of Pixar productions with its combination of audacity, intelligence, wit and emotional reward. At once achingly heartfelt and magnificently high-concept, the film tells the story of a girl named Riley (Kaitlyn Dias) and the five emotions that together make up her psyche: Joy, Sadness, Fear, Disgust, and Anger. What’s great here is the simple, lucid logic the screenplay imbues into the set-up. The Emotions dictate Riley’s feelings in a shiny space-age HQ dominated by an enormous control panel – with tubes and shelves where memories are moved and stored as gold orbs. The pillars that Riley’s life is built on, such as friendship, hockey and family, are represented as floating islands like the areas in a theme park. It’s one of Docter and del Carmen’s magic tricks that they let us luxuriate and play in this world without letting the pace and urgency of the storytelling flag. The inciting incident that sees these pillars begin to crumble is a crisis during Riley’s first day at a new school, ejecting Sadness and Joy from HQ into the darkest recesses of Riley’s mind. Here the movie becomes an odd-couple road trip as the pair travel through Long Term Memory, Abstract Thought and Dream Production (realised as an old-school Hollywood studio system), hooking up with Riley’s long-forgotten, elephant-like imaginary friend, Bing Bong. As they try to make their way back to base, the wit and imagination on show here is simply staggering. If this sounds like a lot of gloopy therapeutic uplift—well, it is, except for the gloopy part. 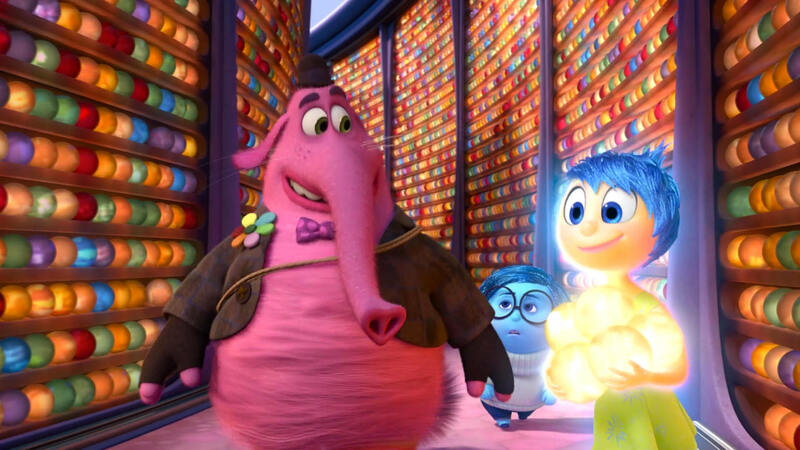 Inside Out is a vibrant, witty film, full of dazzling visuals and, at a zippy 94 minutes, wise enough not to let its intricate workings overwhelm its storytelling. And while the lessons it offers may be straightforward, they’re eminently useful ones, for kids and parents alike. This is Pixar once again at the top of its game, telling the kind of thoughtful, moving meta-story it’s hard to imagine being produced anywhere else.